The current context of the furniture industry is represented by a competitive and demanding consumer market and the consequent need for modernization and implementation of methods and tools that contribute to a lean and efficient management, cost reduction and an increase of quality and productivity. 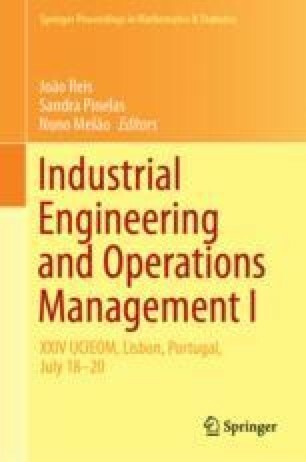 This research aims to analyze the results obtained with the application of Lean Manufacturing in the inventory management of a furniture industry. A qualitative research strategy was adopted, in two phases, initially a literature review, followed by a case study in a Brazilian furniture company. The use of Lean Manufacturing principles, techniques and tools such as Value Stream Map, organization of productive process with Kanban, levelling of production with Heijunka, and percentage of inventory accuracy calculation helped significantly the company to identify and eliminate waste that was affecting process performance. Results were positive with an eight times reduction of the finished product inventory (almost 88% reduction) and lead time two and a half times smaller in the administrative management flow of inventory, even with addition of processes and people.